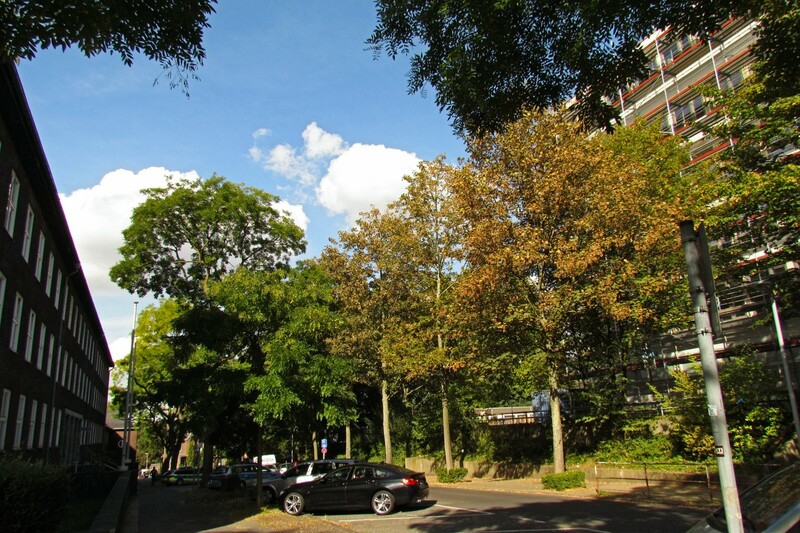 A view down Mülheim’s Von-Bock-Strasse. On the right is one of the schools, on the left the police headquarters! The street is named after Karl von Bock und Polach, who was mayor of Mülheim from 1879 to 1899 and was responsible for a lot of city development that is still visible today.